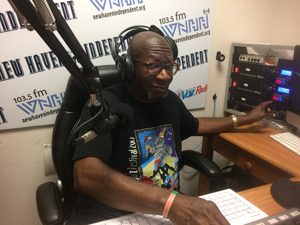 Tune in to WNHH Radio at 103.5 FM or on the web every Wednesday from 2:00 to 3:00 pm as Stanley Welch hosts Jazz Haven Radio live. The program also airs on Mondays at noon and Wednesdays at 9:00 pm. The program features musicians from the Connecticut area either past or present. Mr. Welch, aka “Stan The Man,” honored by Jazz Haven as “Unsung Hero” of 2017, is no stranger to jazz radio. Stanley worked at WYBC-FM for many years as on-air jazz DJ and Jazz Program Director. The radio show is sponsored by the New Haven Independent.